← WHERE SHOULD YOU BUY BOARD GAMES IN AUSTRALIA? 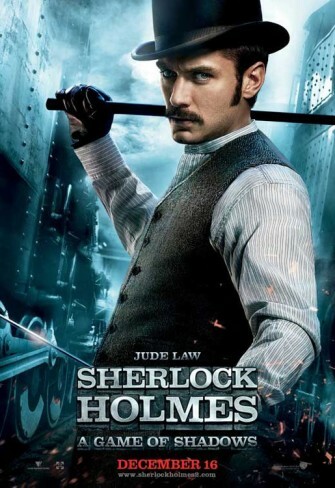 I don’t mind Guy Ritchie’s take on the Holmes legend. He’s made him cooler, quirkier and fightier than before. He’s fun to watch. The scenes where Sherlock visualises the fight before it happens are fantastic and reminiscent of Zhang Yimou’s 2002 martial arts flick, Hero. 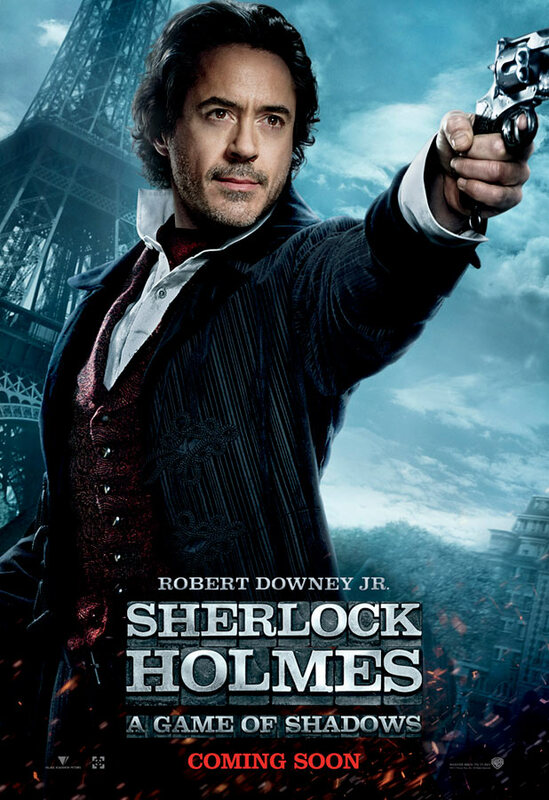 Let’s be honest, Ritchie’s 2009 version of Sherlock Holmes was a brilliant romp and we all expected something wonderful for the sequel. What we have now though is not, I’m sorry, a Sherlock Holmes story. It is an action flick, that while great to watch doesn’t really hit the Sherlock spot. This time around Sherlock is up against his nemesis, Moriarty. Moriarty appears to be behind a series of bombings taking place around Europe. Obviously, Sherlock is the only person who can see the connection. In a rare display of compassion Sherlock meets with Moriaty to request that he leave Watson and his new bride alone, only to be rejected. Thus Sherlock and Watson are reunited on another galloping adventure. What I liked about the first film was the alternating elements of action, clue finding and Robert Downey Jr hamming it up. Sherlock Holmes: A Game of Shadows is fairly devoid of that second element. Where is Sherlock gazing around a room and telling its entire story based on a few piles of cigarette ash? Well, they were there but they felt added on. They certainly weren’t the crux of the story. One thing that seriously let this film down was the lack of a real mystery. We know who the bad guy is right from the start. All that was really missing was why he was doing it all, but to be honest I didn’t care that much. Moriarty is a bad guy and he’s doing bad things. The first movie had something to be uncovered, this one was like having the murderer, weapon and killing room revealed at the end of a game of Cluedo. The acting was great. Downey Jr plays quirky like he was born to it. Jude Law is brilliant as the ever-suffering side kick and the bromance really steps up a notch in this film. Noomi Rapace is alright as the mysterious knife-wielding gypsy (is there any other kind?) but I think Jared Harris as a sinister, brilliant and always-one-step-ahead James Moriarty. Stephen Fry adds a slight comic turn as Holmes’ brother Mycroft. Mycroft is actually a better detective than Sherlock but doesn’t have the sense of dedication to see things through till the end. He’d rather take it easy and work for the government. The action scenes were outstanding, as usual. There were a couple of nice twists on Holmes’ “pre-combat analysis” trick and a scene towards the end involving them running through a forest while being bombed (you’ve seen it in the trailers) is just magnificent. One big gripe I have is the overuse of the “slow motion fast motion slow motion” shot (known as “ramping”). Seriously, it was cool in The Matrix and pretty awesome, if overdone, in 300 but enough is enough. Find something else to do and use that instead. By the way, Sherlock Holmes does not use deductive reasoning at all. That would involve taking a general situation and coming with specific details. What Holmes does is in fact called inductive reasoning. He takes very specific observations and comes up with more general results. Sorry, I majored in pure maths at university and this kind of thing bugs me. All in all it was a fun film. I wouldn’t object to seeing it again on DVD but I won’t be going out of my way to recommend it to people, like I do with the BCC series, Sherlock. This entry was posted in Film, Reviews and tagged guy ritchie, jared harris, jude law, moriarty, noomi rapace, robert downey jr, sherlock holmes, stephen fry, watson. Bookmark the permalink.